Eating breakfast is proven to help students perform better in the classroom. In fact, children who increase their school breakfast participation as a result of a school breakfast programs offered at no cost to all students show greater improvements in math scores, attendance, and punctuality and a decrease in depression, anxiety, and hyperactivity. 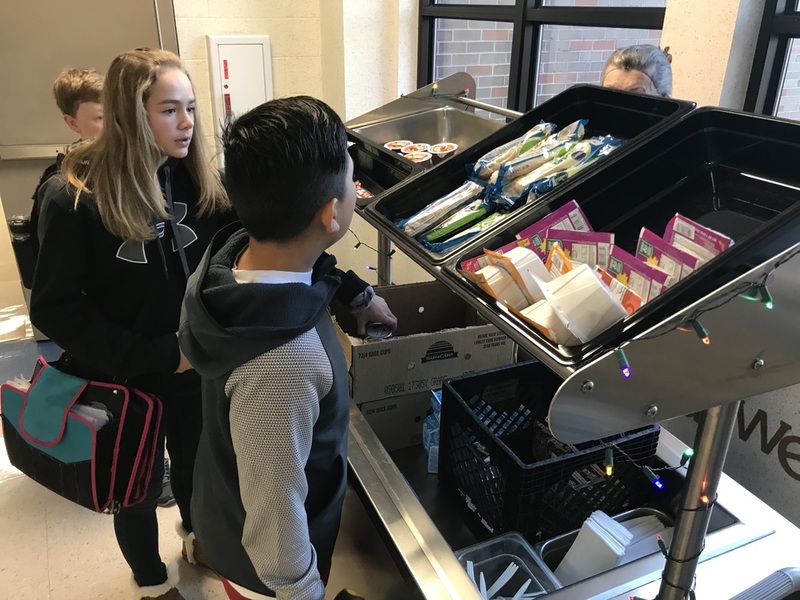 The Pittsburg Community Schools Food Services Department is helping spur that performance at Pittsburg Community Middle School through its Grab & Go Breakfast option. Every student at PCMS has access to free breakfast no matter their free/reduced status. "This is very similar to our Breakfast in the Classroom program at all of our elementary schools," Summer Warren, Food Services Director said. "The only difference is these meals are delivered from a kiosk-style station and the elementary schools have meals delivered to their classrooms." Since the start of the program at PCMS, breakfast has been served to 137 more students on the highest day, raising the number of breakfast meals served to 337 students. "This saves parents time and money," Warren said. "Parents don't have to pay for a breakfast or spend time prepping a breakfast at home for their children. Instead, they can have their students go directly to school knowing they have breakfast available." The program is funded by the Midwest Dairy Council, Kansas Department of Education, and the USDA.